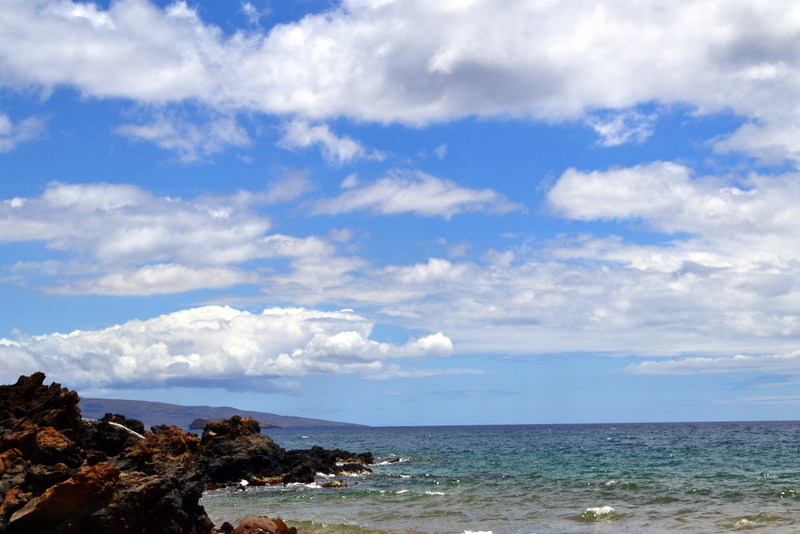 There’s a spot off the edge of the Makena shoreline called Turtle Town. This infamous tourist destination is splashed on marketing brochures across the island. They promise that if you wake up at dawn, dress in layers and sunscreen, and race 40 minutes to an overcrowded dock full of people, you might during the daylong boat ride see a honu, the Hawaiian word for sea turtle. My children will tell you that honus can hold their breath and stay under water for up to five hours. 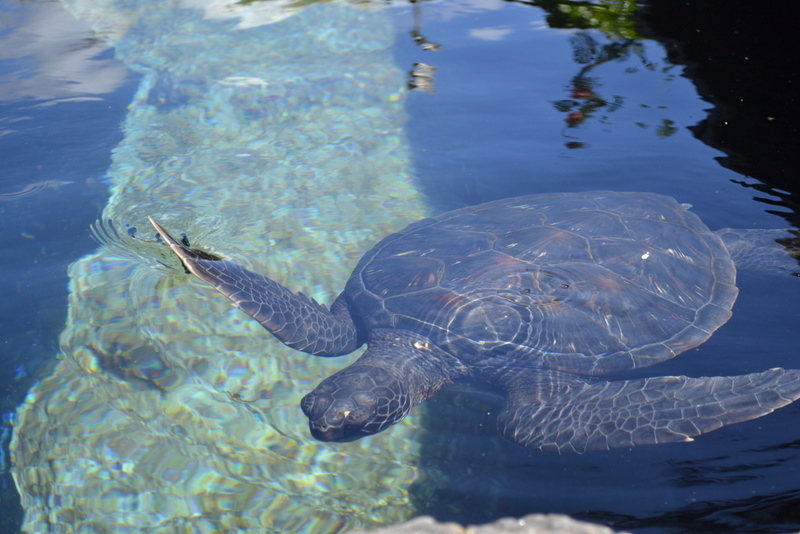 Younger honu, however, come to the surface as often as every 20 minutes to inhale air before they swim down again to a comfortable spot within the coral floor. Typically, Honu are hard to spot expect during these life-sustaining voyages to the ocean’s surface. 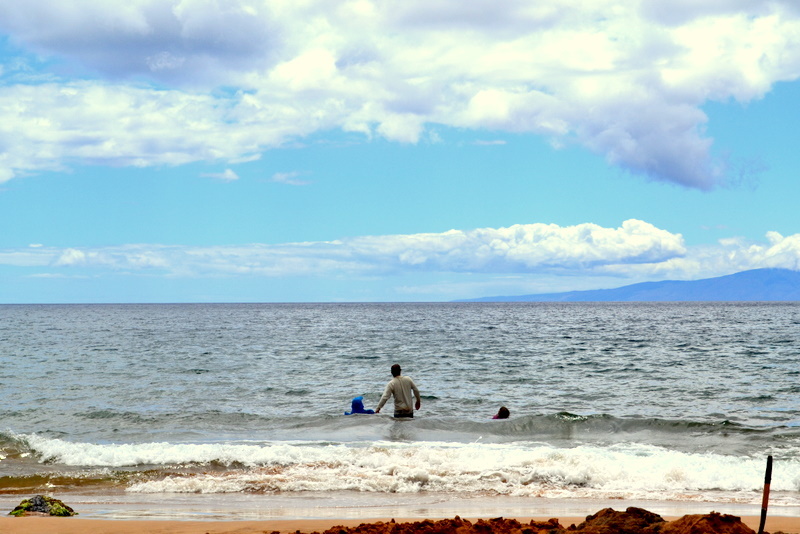 Sitting beachside in Makena you always see four or five of these charter boats floating between shore and horizon. They’re close enough that you could swim toward them, but far enough that the coral display of color and fish distracts you along the way. The boats’ shapes and colors add a moving element to the nearly unreal 180-degree view of lava rock, islands, clouds and sea. My family of four doesn’t take the charter to Turtle Town. Instead, we head to sand the children affectionately call “Turtle Beach.” This moniker came from our virgin trip to Turtle Beach on my son’s second birthday. Although he was then too young to put his head under the ocean’s surface, two sea turtles popped their heads above the water line to wish my boy a happy birthday. From then on, the name ensued. We arrive at Turtle Beach by car and follow the path of honu pictographs to the shoreline. We pack enough food and water for the day and hope the ocean’s roar doesn’t prevent our young babes from navigating “past the wave line.” We hope for clear water. And pray the mood of our children stays excited and curious. For July Fourth, we received another birthday present (this time in honor our country’s birth). The water was more placid than we’d ever seen at any island beach. It reminded my man of his childhood days playing beside Lake Tahoe. The water was clear, the air was still. The four of us swam into the ocean more quickly than ever before. 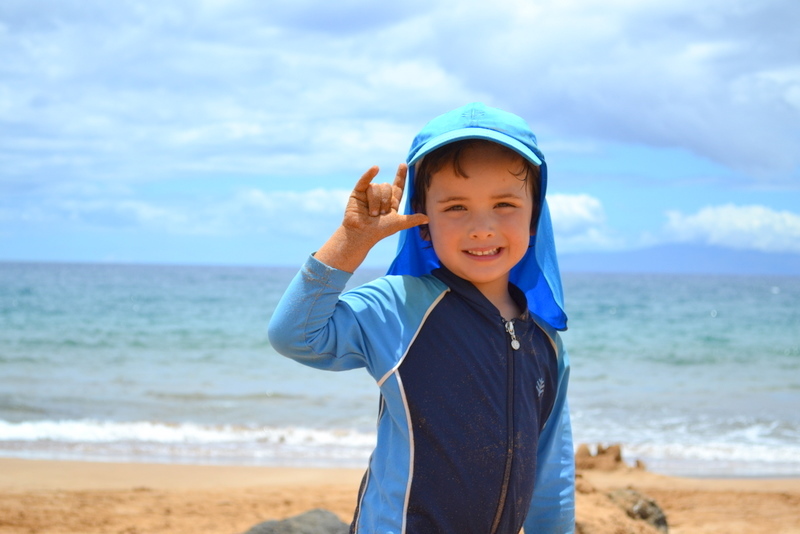 Fingers intertwined with my three-year-old’s, we swam toward the coral. 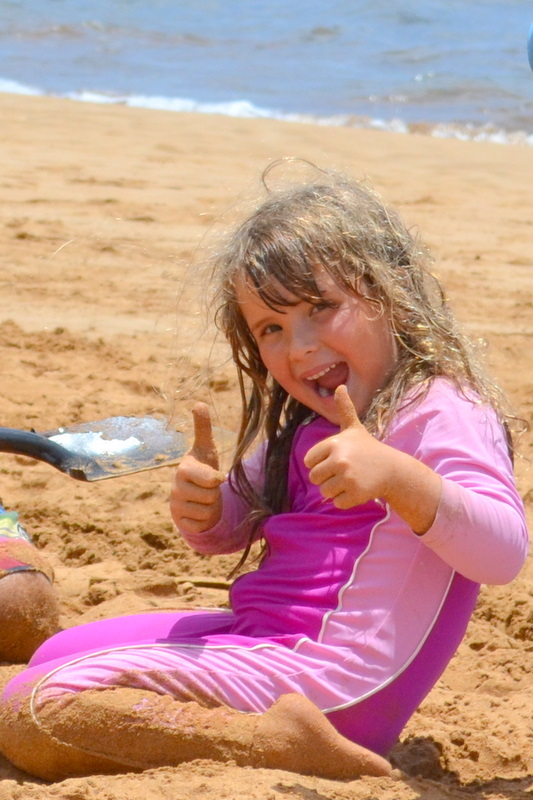 Although the water was surprisingly warm, my children’s small frames only lasted 20 minutes before they wanted to go back to the sand. Perhaps they were cold; perhaps bored. I don’t ever question their requests to stop swimming in the ocean. I’m grateful they are brave enough to be in it at all. Once back onshore I couldn’t sit still. As soon as the children were engaged in making train tracks and princess castles in the millions of grains they were sitting on, I headed back out to the ridge. 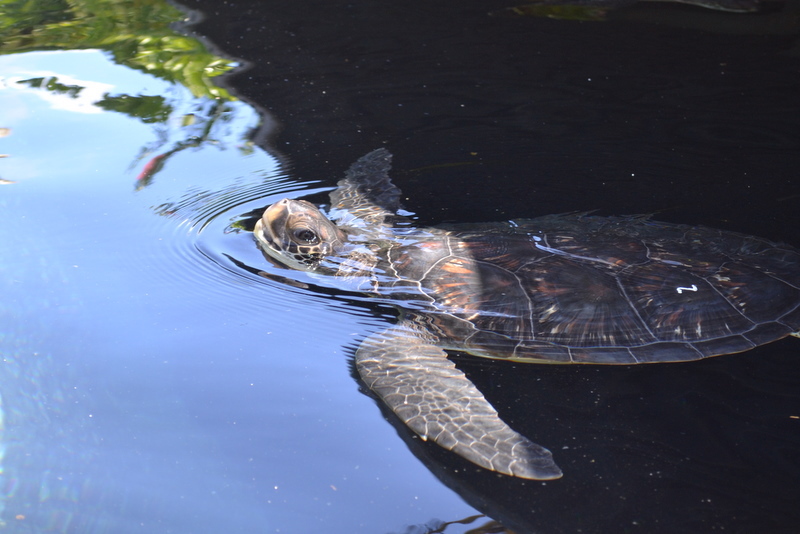 As I reached the coral, a tractor-wheel sized turtle swam up beside me. I immediately took in a breath and held my hands against my heart so as not to frighten him. He had to be at least 100 years old by the size and markings on him. My heartbeat raced as it does after a swift run. I swam behind him at a fair distance, breathing air steadily, adjusting my eyes to the marble yellow and black carvings on his war-torn shell. His face housed two swollen carbuncles exploding from his cheeks. His graceful movement transferred to my own limbs. As if in fantasy, another turtle rounded the bend and cut between me and his elder. They swam ahead together, beckoning me to follow. I was solo with these two honu for an eternity of turtle-viewing time. When they swam to the surface, I also would pop my head above water and catch a glimpse of their mouths opening for air, our eyes greeting one another. The eldest swam out of view so I contentedly followed my younger guide back to his coral-reef bed. We swam over the outer rise of the underwater valley. Suddenly I was in midst of SIX turtles that were resting, air gulping, dancing, swimming. The submerged waves of their whirl pushed against my body. I was stunned and suspended into their world of color, grace, peace, and silence. One by one the turtles settled themselves or swam away. The yellow, pale pink, and shades of green coral returned to focus and guided me back to the shoreline.